Full of flavor, this is the decaf of your dreams. Our house blend decaf is a mix of the harder, acidic beans of the Central Valley and dense, full-bodied beans of the Western Valley. After purchasing the beans for this blend from local growers in Costa Rica, we transport them to Veracruz, Mexico, where they are decaffeinated via the indirect water method. The beans are first infused with water vapor and then washed a second time with the same water to restore flavor that may have been lost during the first washing. This method retains as much of the flavor as possible, while eliminating 99.9% of the caffeine. 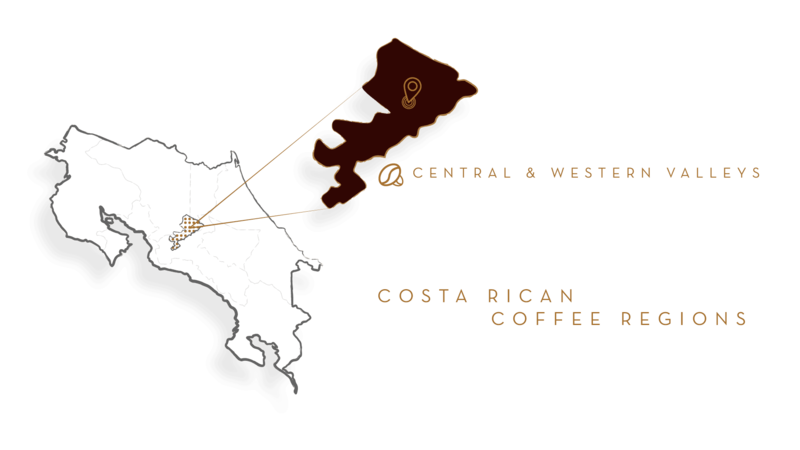 Once decaffeinated, the beans are returned to Costa Rica where we carefully roast them to bring out their optimum flavors. Despite the dark roast required to coax the flavors out of decaffeinated beans, this blend is mild, with a light acidity. Its flavor is balanced and complex, with a unique aroma of seeds and dry leaves complemented by flavor notes of honey and clove.